In some people's eyes, the problem with armored motorcycles jackets is… well, they look like armored motorcycle jackets. 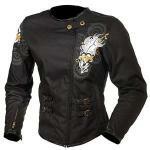 The Teknic Women's Diamond Jacket offers a good measure of protection while still looking good off the bike. These Teknic gloves are just what you're looking for if you need something lightweight, waterproof, wind-blocking, and sturdy at the same time. 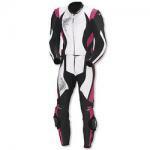 Comfort meets safety with this two-piece race suit by Teknic. Comfort features include pre-curved arms and legs to prevent bunching, extra layers of material, adjustable waist belt, Seamless Full Motion arm/leg stretch system, soft touch Neoprene collar, and Airtex hypoallergenic antibacterial nylon lining. These riding boots from Teknic are stylish as well as versatile. The safety feature list is quite extensive, but let's start with the versatility. The Powerskin II liner encompasses the entire boot, providing waterproofing as well as breathability. This should allow you to use these boots in almost any weather condition.